Item # 312760 Stash Points: 3,995 (?) This is the number of points you get in The Zumiez Stash for purchasing this item. Stash points are redeemable for exclusive rewards only available to Zumiez Stash members. To redeem your points check out the rewards catalog on thestash.zumiez.com. 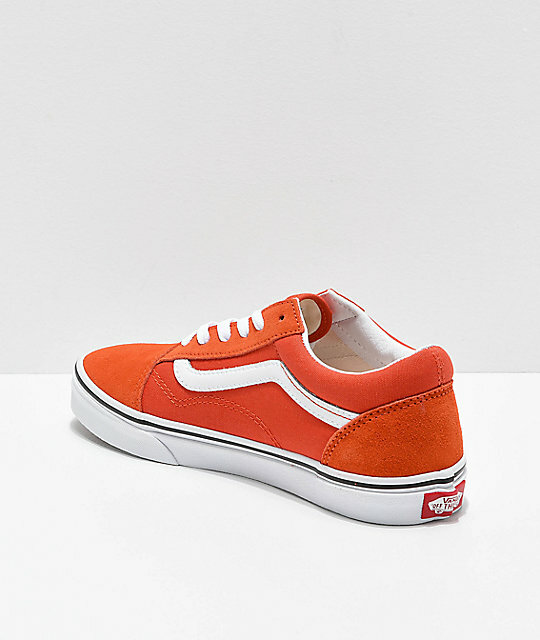 A shoe that never falls out of style, Vans presents their signature Old Skool Skate Shoes in a new vibrant koi orange and white colorway. 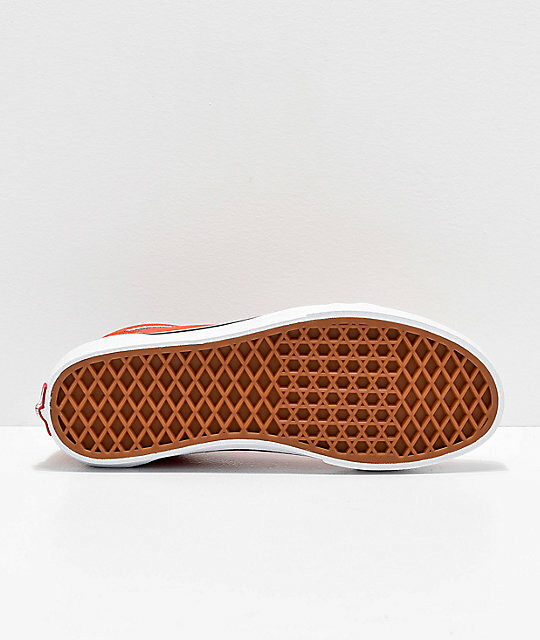 The rusty orange upper is composed of both durable suede and lightweight canvas; the iconic design that originally placed these shoes in high regards. Skate-ready and boasting plenty of streetwear appeal, a pair of Old Skools is a must have staple in your collection of footwear. 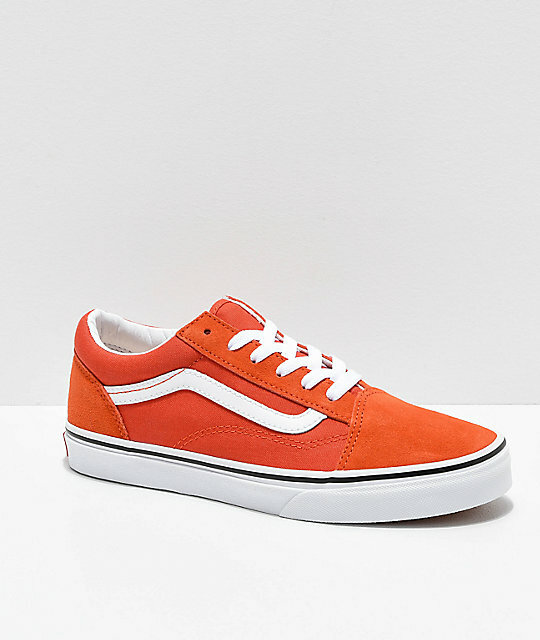 Old Skool Koi Orange and White Skate Shoes from Vans. 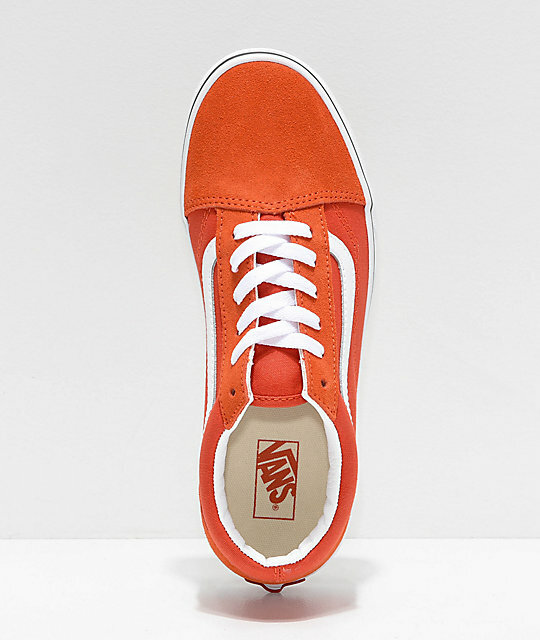 Rusty orange suede and canvas upper. White leather side stripe logo. Vulcanized shoe construction for optimal boardfeel.